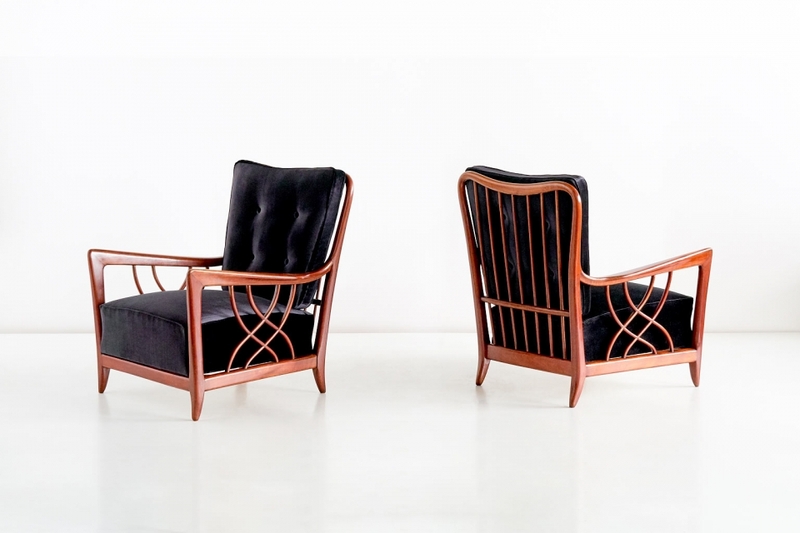 A rare pair of armchairs designed by Paolo Buffa in the late 1940s. 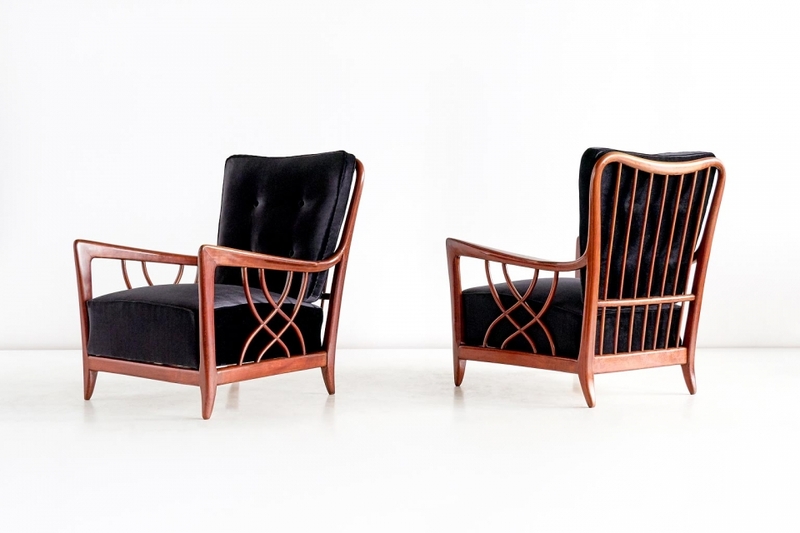 The mahogany frames are characterized by the intricately carved lines of the open arms, the spindled back and the tapered legs. 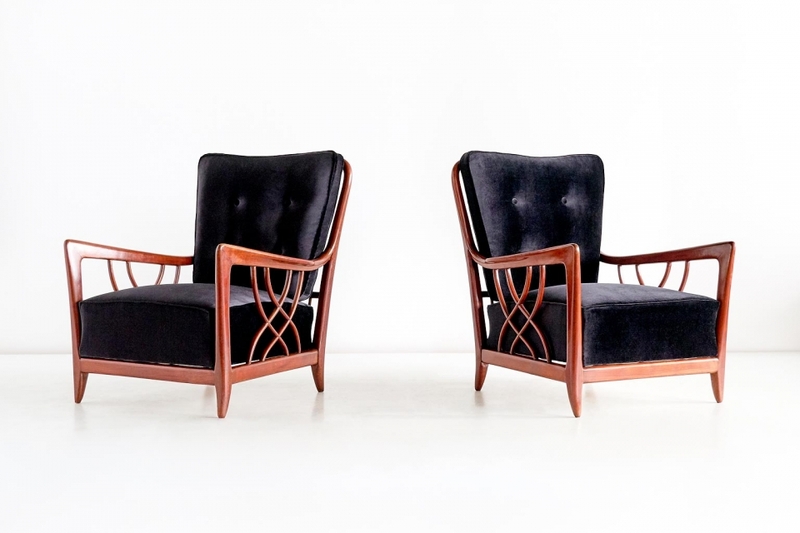 The lounge chairs have been newly upholstered in a black velvet fabric. Biography: After working briefly in Gio Ponti’s studio in the 1920s, Milanese architect and designer Paolo Buffa (1903-1970) quickly made a name for himself amongst the Milanese upper classes. His designs are original, beautifully executed and highly refined, combining the classical with the functional and modern. 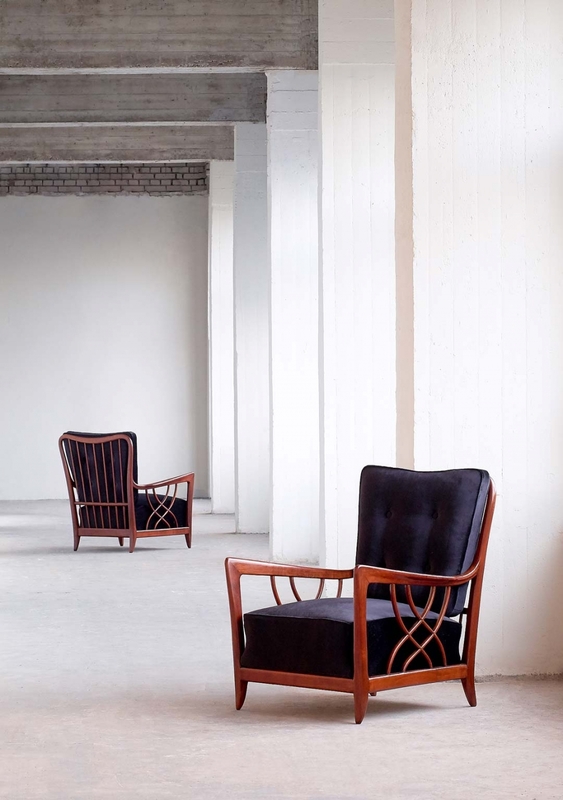 Executed in only the most valuable materials, his designs are infused with Lombardy’s woodworking traditions. These characteristics make Buffa’s work highly collectable. Condition: Excellent. The chair has been newly upholstered in a black velvet fabric.